Bankruptcy asset sales of used oil production machinery. Make your bid! Do you own an oil production business? If you need new machinery to increase your business, discover now the advantages offered by our online judicial auctions! 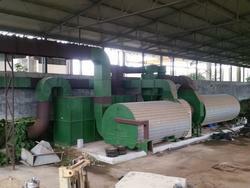 On Industrial Discount you can get every day an used oil production machinery at very affordable prices. All items, in fact, belong to bankruptcy procedures and company liquidations, and are sold at a price much lower than what can be obtained for the sale in the normal market. Moreover, our auctions are transparent and safe, as every day we collaborate with the major courtyards to make sure that attending our auctions is a great experience and is risk free for you. Attending an auction is easy and cost-effective: register for free, follow the instructions to activate your account and make your first offer, manually or activating the Proxy Bid. If your offer is the highest, you will win the auction. Choose the used oil production machinery that best meets your needs: every item is supplied with a full description, technical specifications and sale documents, that you can download and review at any time. Hurry up, the most interesting auctions are closing soon: make your best offer now to get your used oil production machinery! 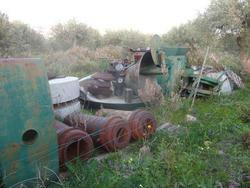 Do you want to stay updated about the upcoming auctions of used oil production machinery on our website? Subscribe to our newsletter! You will receive a weekly email showing new items for sale.